Excessive noise may impact productivity and comfort of the occupants in neighbouring premises, dependent on volume, duration and time of day. Or the employees in a workplace itself may be exposed to the noise and vibration of plant and equipment. In either case of environmental or occupational noise exposure, the level and duration of noise are regulated. QED undertakes noise assessments for customers in the property sector, ensuring that noise levels are compliant with relevant regulations. Our staff has experience with situations involving disputes with adjoining tenancies or properties. 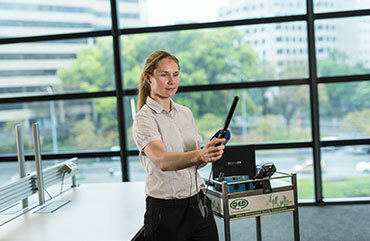 In the industrial, ports, power and mining sectors we have undertaken occupational noise assessments to ensure compliance with the relevant workplace health and safety regulations.